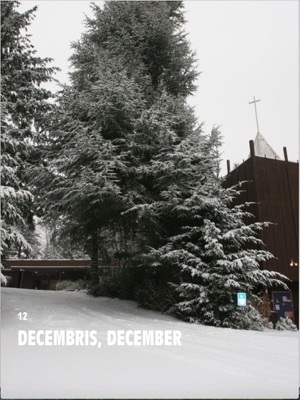 For the second year this Calendar is being prepared electronically, it is hoped that it will be used as the daily reading without difficulties. 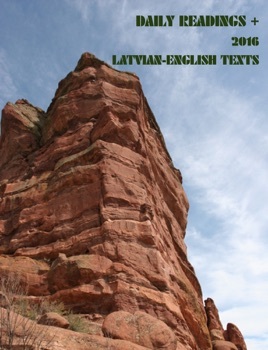 It is intended for all Latvian families, in Latvia or those who live away from Latvia. 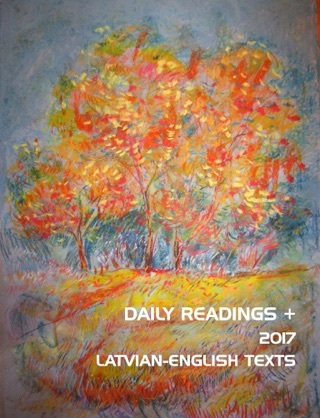 It is dedicated as a source for reflection and a strength for the whole family, independent of the language that family members speak, whether Latvian or English. Anita Batarags, the President of the American Latvian Association, in 2014 encouraged the inclusion of information about the Latvian Riflemen (Latviešu Strēlnieki) because the 2015 year was celebrated as the year of the Latvian Riflemen. 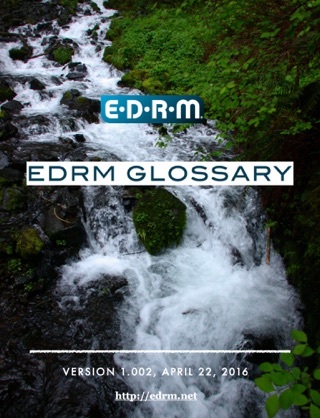 In your readings you will find additional historic testimonial information about these incredible men. We are also publishing both artists’ Richards Zariņš and Richards Tilbergs designed postal cards designated for the Latvian Rifleman theme, with original publishing dates of 1915 -1916. 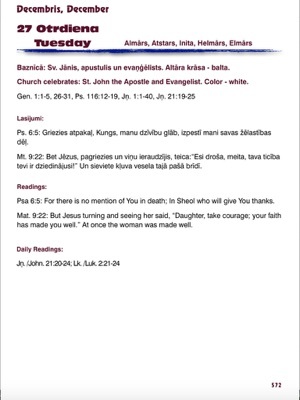 This calendar includes Bible readings both in Latvian, English, as well as historic facts.You will be able to read an article prepared by Dr. Robert Spirgis, which gives you insight into the Christian culture (archeological evidence) in todays Latvian territory before the Roman Catholic Church Pope Innocent III began crusades against both the Baltic and Finno-Ugric tribes. In the calendar you will also find information about how to protect children from potential abuse, by people who use the internet and other modes of communication to reach their victims. This information is meant for parents and caregivers of children and adolescents to help detect potential risks and recognize a child’ s change in behavior in the case of abuse that has already taken or is currently taking place. 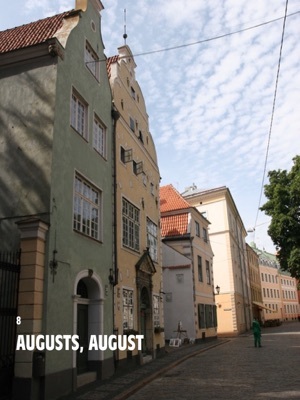 In the calendar you will find interesting tidbits, as they relate to the historic happenings in Latvia, as well as there connections with the Church and history.